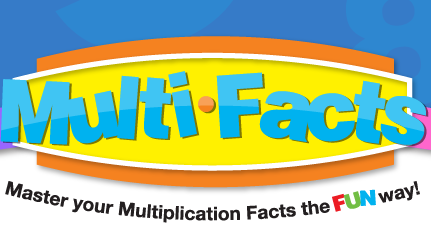 Multi-Facts puzzles are designed by an award winning teacher in California to be a fun and easy way to help your child study their multiplication facts while building a solid foundation in math that will help them for years to come. These puzzles combine the logical thinking skills and repetition needed for any student to master their multiplication facts. 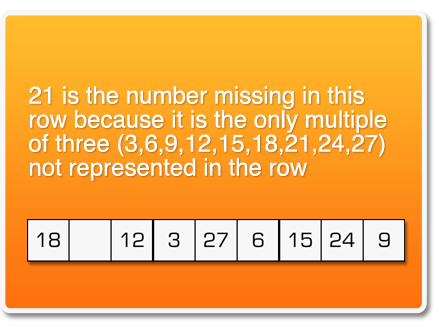 How do I solve a Multi-Facts puzzle? 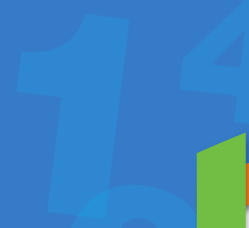 Multi-Facts puzzles have similar rules to the popular Sudoku puzzles, so if you know how to solve a Sudoku puzzle, you already know the rules for solving a Multi-Facts puzzle. However, if you are unfamiliar with Sudoku puzzles, all you need to understand Multi-Facts puzzles is one definition and three basic rules. Definition - A Multiple is the answer to a multiplication problem. i.e. 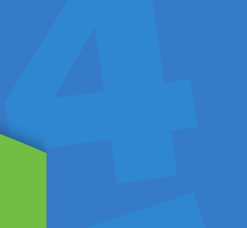 4,8,12,16,20,24,28,32 and 36 are all multiples of the number 4. 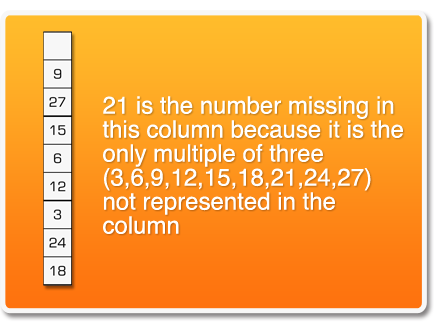 Multi-Facts puzzles repeatedly use the first 9 multiples of a given root number. The 3 rules used to solve Multi-Facts puzzles. Rule #2 - Each Row can only have 1 multiple for each number. 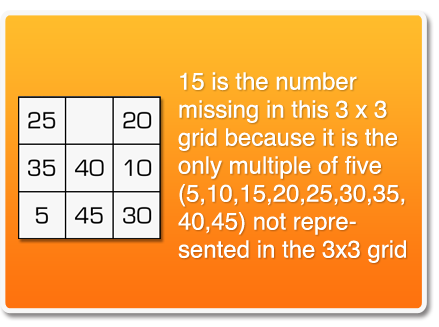 Rule #3 - Each 3 x 3 grid can only have 1 multiple for each number.